the vases was true red. 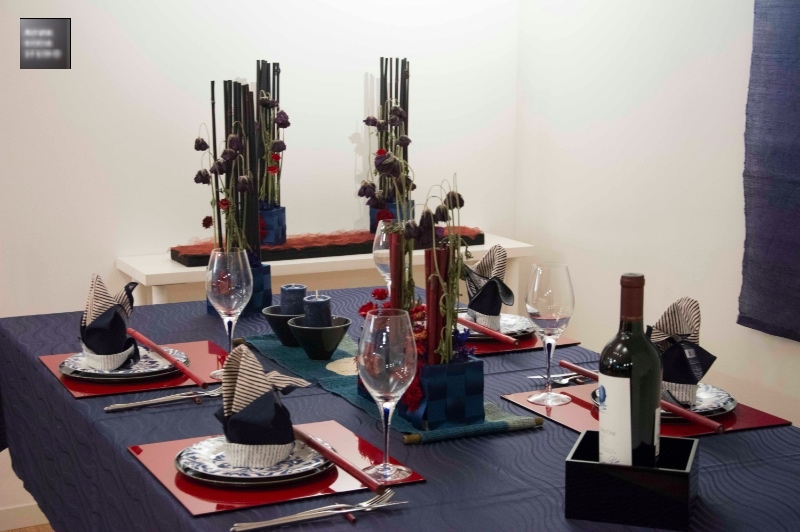 Red and Blue is one of fine Japanese color combination. 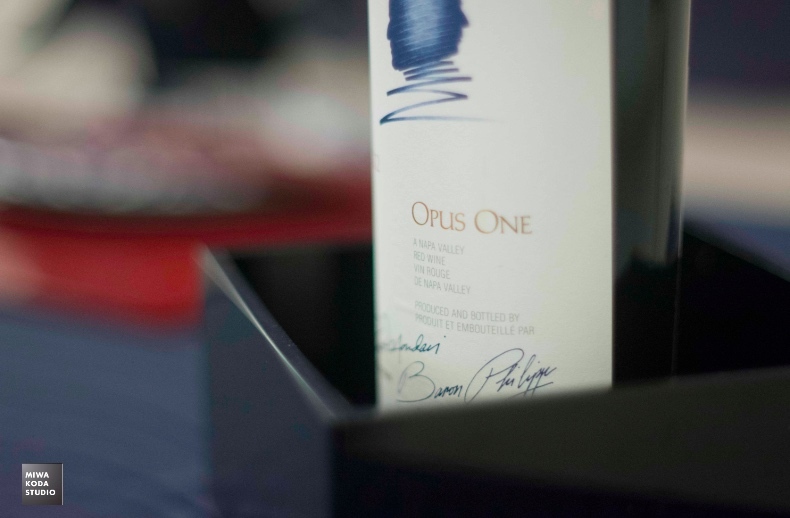 The wine for “Father’s Day” table was OPUS ONE in 2012 as a treat. 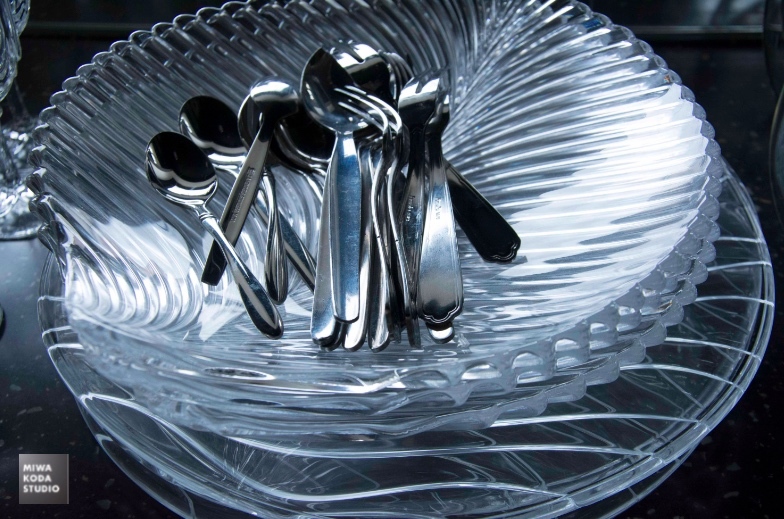 The glass for “Father’s Day” table was deigned by COSTA BODA in Sweden. The deep blue is very attractive! This is for a heavy red wine. 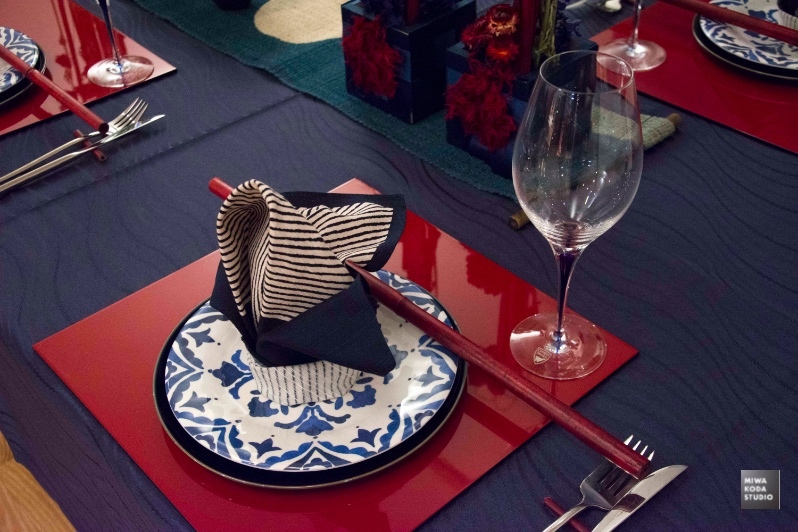 The first setting for “Father’s Day” table was Japanese pattern plastic plate. 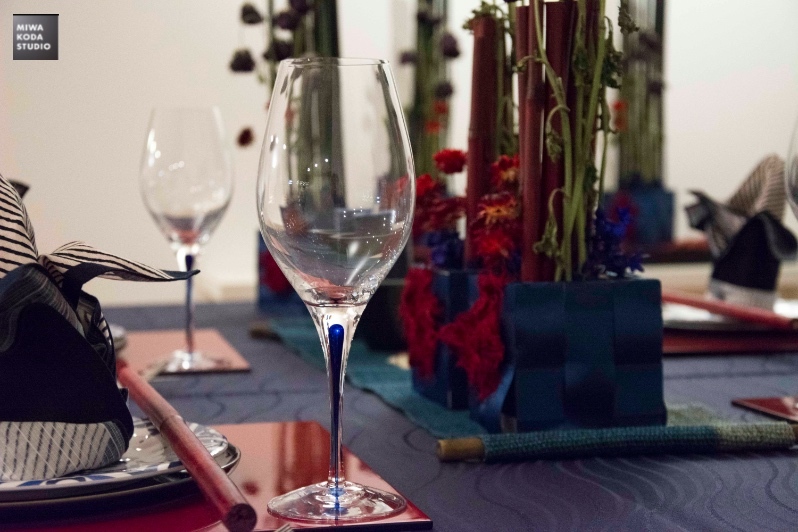 It is used with red Japanese bamboo and lacquer place mat. in the world is less, I think. 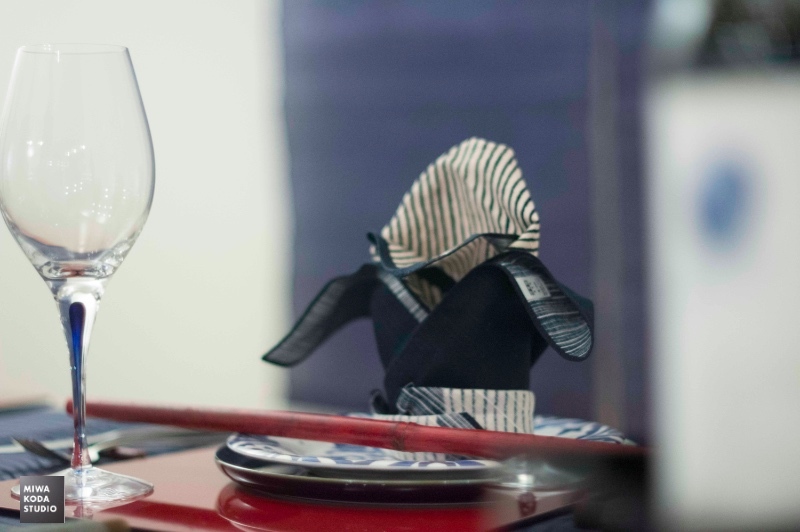 For father’s day, the table deign was aiming to be dignified. 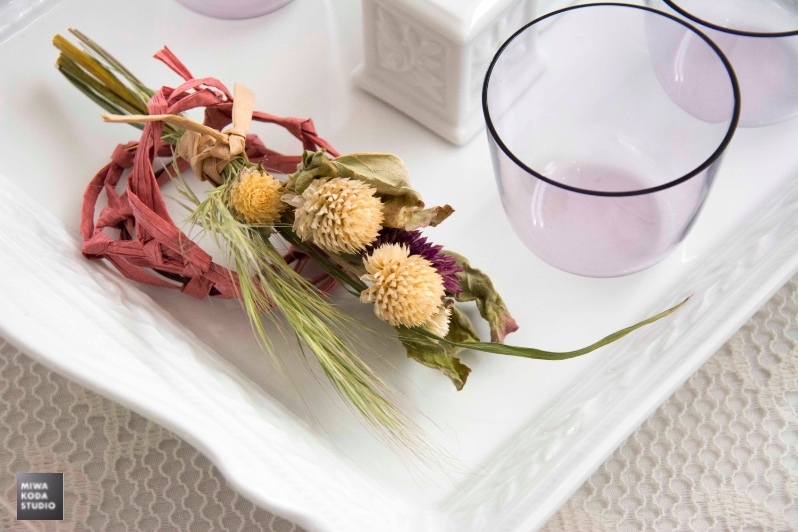 Glass plates are beautiful for this season. Along with sliver cutleries, I feel summer has come. The main color for “Welcome to My Home with Making Raffia” is pink. 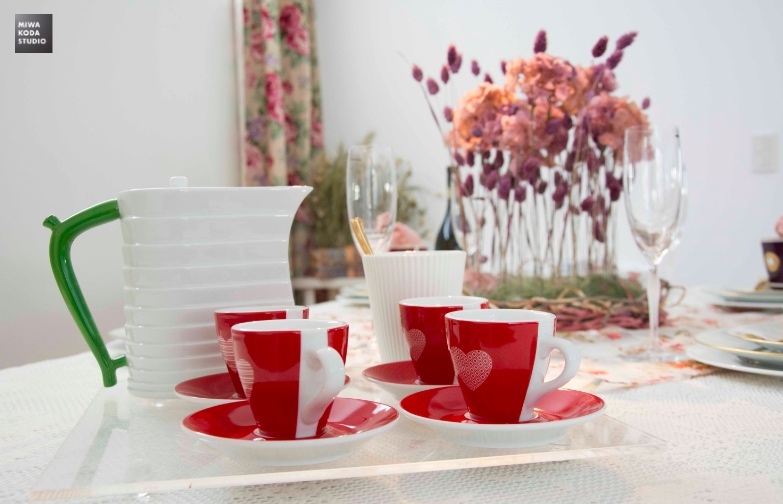 Red, teacup color, is good with pink, since the root of pink is red. Pink is made by adding white to red. A figure made by raffia was on the table of “Welcome to My Home with Making Raffia”. 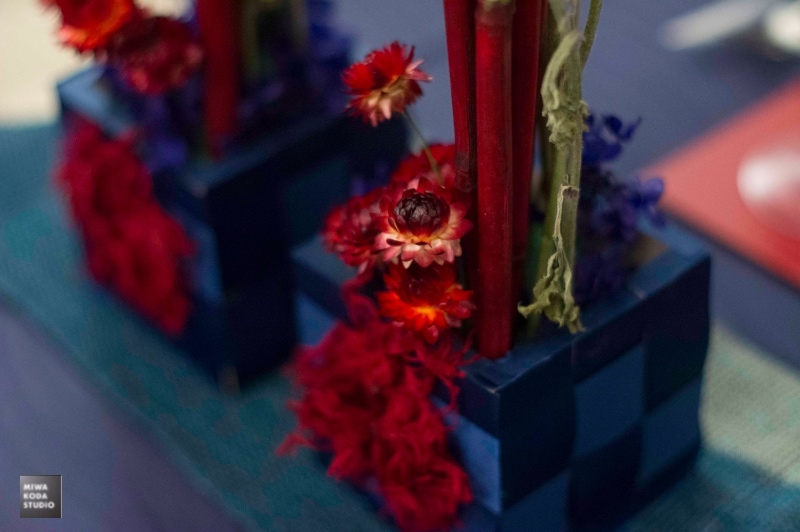 The small bouquet with a small woven raffia was hand made.